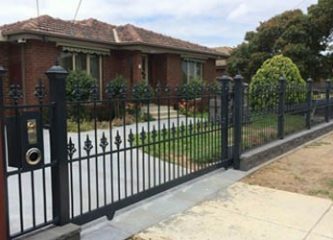 You can see how important the decision on the type of fence you choose is. If you make the wrong choice, it can cost you a lot of money because you’ll end up having to tear it down and start again. You really do need an expert on board when it comes to choosing the right option. This client came to us with a completely open mind. 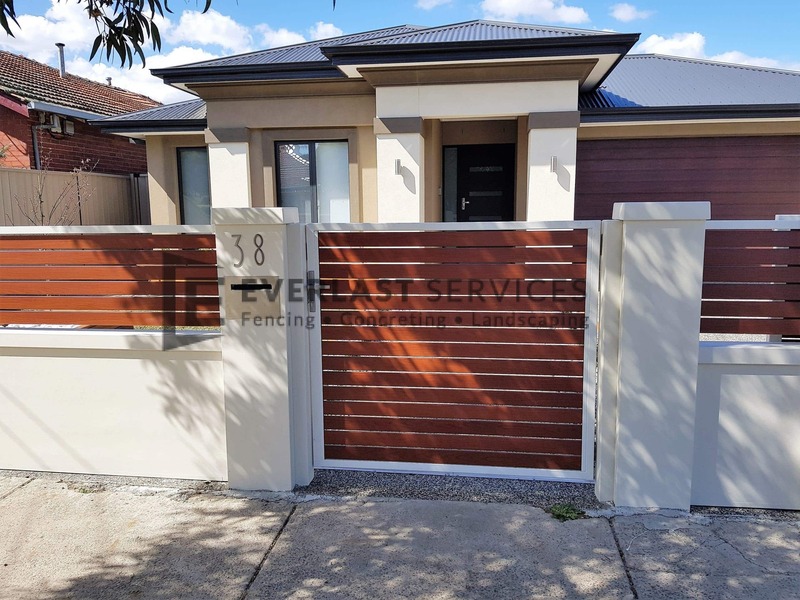 We considered their budget and their property and decided modular fencing was the perfect option. It offers soundproofing, which is a godsend in a time when the boundaries between houses get smaller and smaller. It is incredibly durable. In fact, the panels last forever. The job came up a treat. The modular elements work perfectly with the aluminium slats to create a nice contrast between the beige posts and the dark slats. This gives a similar look to sandstone pillars and wood, without suffering the cost and maintenance that both these materials carry. The property had quite a large frontage, so modular kept the prices down. 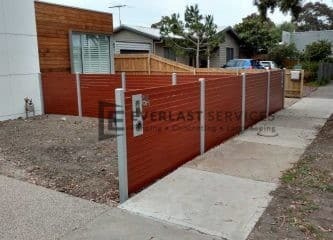 We were also able to throw the fence up in a record amount of time, and the homeowners couldn’t believe how quickly we were finished and cleaned up. 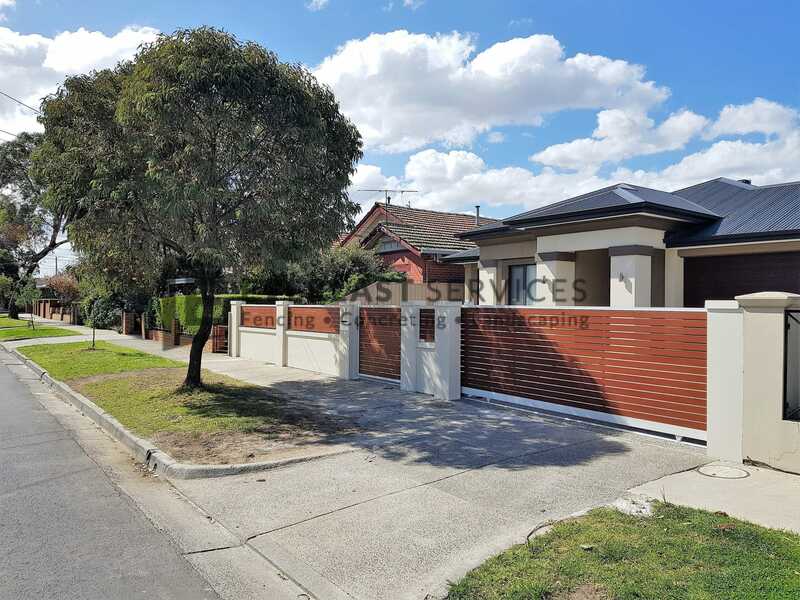 The fence offers excellent privacy, security and sound control. 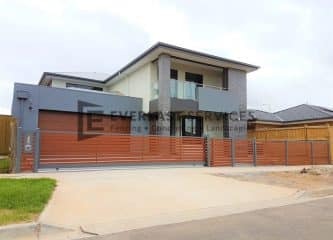 The client didn’t want the fence to completely cover their frontage and their view of the street, so we opted for a height that offered security without obstructing any natural light. The client is absolutely thrilled with the result, and we’ve left behind something they will enjoy for decades. 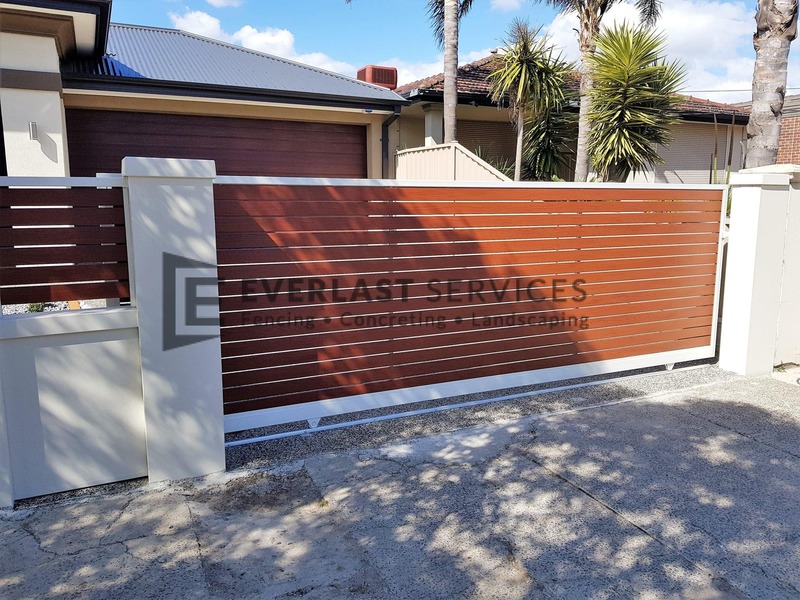 The modular and aluminium slats won’t require any maintenance, apart from a hose down every now and then so this is the best investment the client has ever made. If you need some fencing advice, get in touch with us today.